We export cars to Kenya, with an extensive stock of the finest prestige vehicles and sports cars. Take advantage of our easy car export service, VAT-free and without the hassle. Our sourcing and shipping partners are specially selected, based on our decades of experience shipping deluxe vehicles all over the world, at a price you'll love. We own our stock, we're not middlemen. That means you benefit from the care and attention we pay to each car. 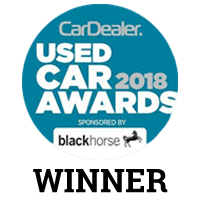 Browse our hand-picked stock, containing over 100 of the best prestige export cars from the most iconic motoring brands like Mercedes, Land Rover, Audi/VW and more. Each car in our deluxe stock is subject to thorough servicing, a full HPI check, as well as an MOT to ensure top quality. Could you ship your car VAT-free with Beck Evans? Check with your tax office to see if you qualify for big savings. 100% customer satisfaction is our promise to you, backed up by 20 years exporting prestige cars around the world. Ask us for a reference from one of more than 1000 happy customers who trusted us to ship the car of their dreams. We also use Facetime or Skype to offer a live video walkthrough of your favourite models. Our experienced network of shipping partners lets us offer fast export times on your car, delivered to Mombasa. We make it easy to export cars to Kenya from the UK, with a range of shipping options available. We can also ship VAT-free on qualifying vehicles, giving you a massive saving of up to 20% on the prestige vehicle, 4x4, or sports car you've always wanted. Contact us directly for shipping costs and methods available to you. Please note, in 2019 only vehicles manufactured in the year 2012 and onwards will be allowed to be imported into Kenya. Inspected prior to shipping by JEVIC or QISJ. Must arrive back in Kenya within 90 days of their vehicle.